Eat In Magazine urges readers to “get the kids” some CleverstiX! CleverstiX have been spotted in the Press again. 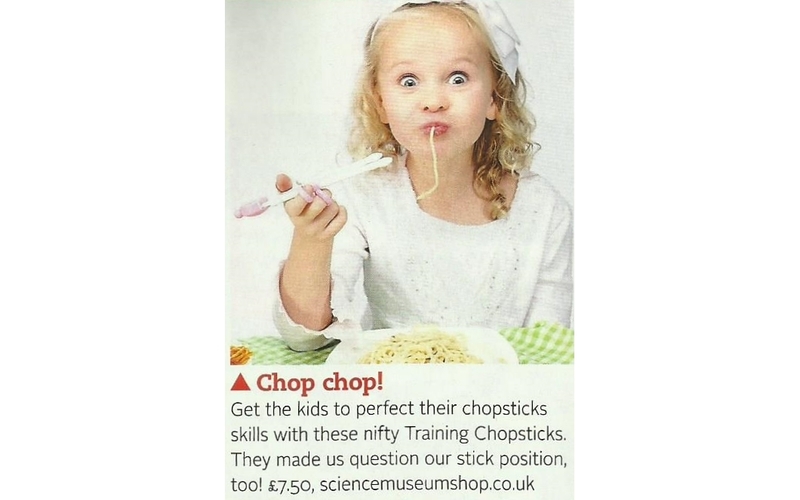 This time it’s Bauer Media Group cookery title ‘Eat In‘ that recommends providing the Science Museum version of CleverstiX to “Get the kids to perfect their chopsticks skills” on page 60 of the March 2015 issue. Thanks again to our readers for bringing this to our attention. If you spot CleverstiX in the Press or Media please do inform us via our ‘Contact Us‘ page.